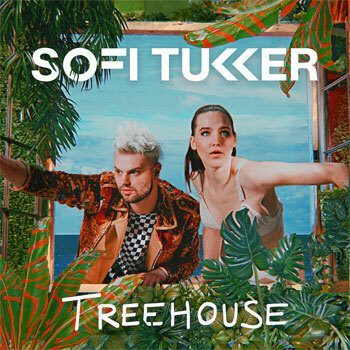 Ultra Records artist, Sofi Tukker is a New York-based musical duo consisting of Sophie Hawley-Weld and Tucker Halpern. The band is best known in Australia for their smash hit Drinkee, which was a top 40 hit and featured in an Apple Watch Ad, racking up over 45 million Spotify streams, and received a Grammy nomination for Best Dance Recording. In 2017, the duo shared Best Friend which was synched in Apple iPhone X and premiered on the Apple press conference in September. It was an instant hit with 100M collective views on the Apple iPhone X commercial during the release week. The single topped Shazam charts in US, CA and across the globe. It smashed the radio charts in US, topping #1 Dance Radio and #18 Top 40 in US. It hit #1 Billboard Dance/Mix chart last month and entered Top 100 Billboard chart. Internationally, Best Friend achieved Top 50 iTunes Overall in 45+ countries and Top 50 iTunes Dance in 85+ countries. Their new single Baby I'm A Queen is the lead single from the April release of their album, Treehouse. Watch the Baby I'm A Queen Official Music Video. Question: Where do you find inspiration when creating music? Sofi Tukker: We find inspiration from absolutely everywhere: the relationships we are building, with places and people, are probably are biggest sources of inspiration! Every new place we go to, we get a whole new energy from! Question: How would you describe, Baby I'm A Queen? Sofi Tukker: Baby I'm a Queen is about embracing tumultuousness and vulnerability. Just because you are vulnerable, doesn't mean you have to let yourself be belittled or infantilized (Why is 'baby" the default nickname?) We are strong and empowered because we cry, because we desire, and because of what is chaotic about us. This song is about standing up as strong and powerful, because of that courage to share ourselves. It's about being both a baby and a queen at the same time. Question: Can you tell us about the filming of the music video for Baby I'm A Queen? Sofi Tukker: Kids have a natural ability to be creative, chaotic, and totally all-embracing of every part of themselves. When we grow older, we are taught to button up, quiet down, fit in, and compare ourselves to ideals. We are inspired by the kids who haven't been taught to color in the lines yet. Beauty pageants teach kids that being beautiful is a competition and that in order to succeed; you have to be a specific kind of perfection. In this video, we are flipping that narrative and letting the kids define their own beauty standards. We have so much to learn from them. It feels especially relevant right now, as kids take over the American imagination and more people realize how much we have to learn from them, even about politics and common decency. By the end of the video, we stop being judges and instead, we let the kids take charge. We all get messy and playful together. Covered in paint, laughing, and fooling around together, that's when we are the most beautiful. We made this video with Philip Lopez, who inspires us by directing in that spirit of playfulness. What if instead of adults being infantilized ('why do you call me baby?") we exalt the wisdom of the kids? 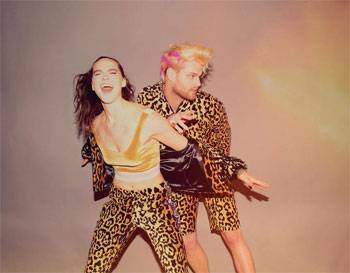 Sofi Tukker: We really do love to perform all of them. And it depends what country/city we are in. Crowds react so differently and that changes the way that we interact with the songs! Sofi Tukker: We really love both. They balance each other really well. Sofi Tukker: We met at college, our senior year. We were both pursuing music but in totally different ways. Tucker was a house music DJ and Sophie was writing bossa nova and samba inspired music. 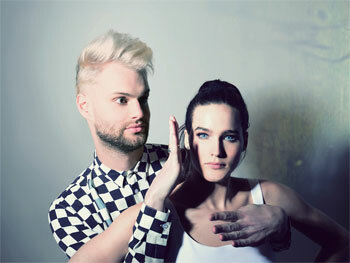 Sofi Tukker: Probably the desire to dance, and the desire to express what's most inspiring and moving in the moment! Sofi Tukker: Pnau... MK... The Blaze... and Jorge Ben Jor, because we were just in Brazil! Sophie Hawley-Weld: There have been a couple instances when I thought, I could do that! One was seeing Feist in concert. I found that to be incredibly inspiring. Another was meeting a friend who had just started her music career. She is a singer in Rio, named Jesuton. I don't think I had met someone who had made a career out of music before her, and that prospect was dreamy!